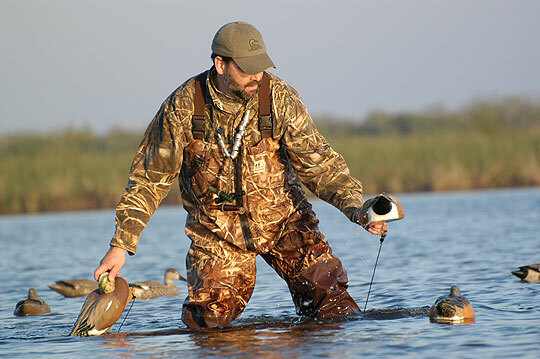 Most magazines and television shows provide in-depth tutorials and images of large decoy spreads tossed into big, open water or large marshes. Granted, in a perfect world, all avid waterfowl hunters would have thousands of acres of flooded timber or marsh to hunt; unfortunately, very few have that opportunity. The good news is the sometimes-overlooked small-water honey holes can produce great hunts across the country, from Florida to Washington state, for those willing to put in the effort, time scouting, and taking the bad days with the good. When choosing an area littered with small ponds, such as the reclaimed mine property I used to hunt frequently in southern Indiana, scouting will improve your success. Unlike large bodies of water, which will hold ducks and geese on a regular basis throughout the season, migrating birds will pick and choose small ponds and then change their minds very quickly. There is usually something that attracts new birds to these smaller ponds throughout the season, whether it’s a food source, a gradually sloping mud bank or lack of pressure. Only the ducks know what makes one pond more attractive than another. The problem hunters face when scouting small ponds is that seeing a pond covered in ducks in the evening often means they will be using another pond or field to feed in the morning. "I have had great success hunting small ponds between 8 a.m. and noon, and similarly from 2 p.m. to 4 p.m.," says DU Media Relations Biologist Mike Checkett. "In the mornings, birds often return to small ponds for a drink after field feeding then move to a larger body of water to loaf for the day. Similarly, I have had great success in the afternoon as birds leave larger loafing areas to hit a small pond before heading back out to feed. 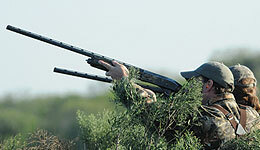 Again, scouting and patterning birds is the key." Checkett also mentions that while you may not see large numbers of birds, the opportunity to get those birds to decoy increases. There is a reason these birds are moving away from the large migrating flocks. It may be to get away from other birds, or later in the season, the pairing of some species may result in a tendency to drift away from larger flocks.